Berghahn Books - Has Germany’s turn away from nuclear power been a mistake? Has Germany’s turn away from nuclear power been a mistake? 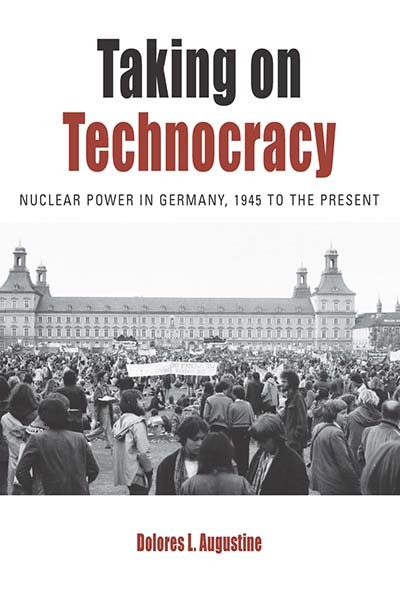 By Dolores L. Augustine, author of Taking on Technocracy: Nuclear Power in Germany, 1945 to the Present. Energy policy has recently gained a good deal of public attention. “Germany, as far as I’m concerned, is captive to Russia because it’s getting so much of its energy from Russia,” President Trump argued at the NATO summit on July 11, 2018. Let’s set aside the faulty data underlying this argument and Trump’s own friendly policies towards Russia and turn instead to a more fundamental question: How wise have German energy policies been? Germany has taken a very different path from that of the United States, deciding in 2011 to abandon nuclear power by 2022. However, Germany has also committed itself to reducing use of fossil fuels. Has this placed German policymakers in a bind? Would life have been easier for Germany if it had not turned away from nuclear power? To understand the present-day situation, we must first look at its historical roots. Why did Germany turn away from nuclear power? Germany was home in the early 20th century to nuclear physicists who developed the fundamental knowledge that went into making the atomic bomb—and, later, nuclear power—but many of them fled Nazi Germany, never to return. Hitler never recognized the significance of the bomb, and those nuclear experts who remained merely developed the technology for a nuclear reactor. After the Second World War, scientists successfully pushed for atomic power programs in both West Germany and Communist East Germany. Politicians and the public were highly receptive. Much as in other countries, enthusiasm for nuclear power was great, in part because many thought it would solve all future energy needs at a low cost. In addition, to Germans, nuclear power represented a path to modernity and an escape from the Nazi past. A powerful anti-nuclear power movement emerged in the 1970s, rooted in a breakdown of popular trust in the state, elites, and the scientific establishment. Activists across West Germany rose up in what was nothing less than a popular rebellion against the rule of experts. Faced with an almost monolithic nuclear power consensus, very diverse segments of West German society, ranging from Marxist radicals to conservative farmers, banded together to resist government policies. They vehemently rejected plans to turn idyllic regions of southwest and northern Germany into nuclear-powered industrial centers. Sympathetic to this cause, a sector of the media helped spread the message across the country. Meanwhile, the governments of various German provinces overreacted to protests, supplying vivid examples of what at least some considered to be police brutality. Resistance to government policies was imaginative, tenacious and long-lived in Germany, lasting up into the early 21st century. A renewable energy sector—solar power, wind farms, and biogas production–was built from the grassroots up, but really took off starting in 1999-2000, with the help of preferential laws and state subsidies. Within a few years, however, subsidies were scaled back. Large corporations entered wind power production. Had it not been for this renewable energy sector, the phasing-out of nuclear power would have been unthinkable. The shift from nuclear power to renewables has been moving in the right direction. The percentage of power generated in Germany by renewables rose from 3.4% in 2000 to 18.6% in 2016, while that of nuclear power fell from 34.7% to 18.9% over the same period. (See www.ag-energiebilanzen.de/10-0-auswertungstabellen.html.) The complicating factor is Germany’s commitment to reduce use of coal and petroleum under the Kyoto Protocol of 1997 and the Paris Agreement of 2016. Robert Stone argued in his 2013 film, “Pandora’s Promise,” that greater reliance on nuclear power would help attenuate global warming. Some proponents of nuclear power have even advocated state subsidies to prop up nuclear power, which has been declining in many countries because it is generally more expensive than other energy sources. These arguments overlook a couple of problems: 1.) Many nuclear power plants in industrialized countries are quite old, and in fact are being run beyond what was originally planned to be their lifespan. Their design is not as intrinsically safe as that of more recent models. As they age, they also become less safe due to material fatigue. 2.) The problem of where and how to permanently dispose of nuclear waste has not, in most countries, been adequately resolved. Germany encountered problems with flooding salt domes (caves) that were supposed to serve as storage facilities—to give one example. In many cases, waste is kept at the nuclear power plant, increasing the danger of worsening any catastrophe that might take place. This is precisely what happened in Fukushima. What options does Germany have? Germany is currently developing technologies that will make the use of renewable energy sources more practical and less expensive. Another alternative is natural gas, much of which is imported from Russia. President Trump has objected to this, ostensibly on national security grounds. Many speculate that his real objective is to drum up business for the U.S. liquid gas industry. In any case, the president’s undermining of internationalism and potential destabilization of the world order could make Germany’s path forward more difficult. Dolores L. Augustine is a Professor of History at St. John’s University, New York. She received her doctorate from the Free University of Berlin. Her publications include Patricians and Parvenus: Wealth and High Society in Wilhelmine Germany and Red Prometheus: Engineering and Dictatorship in East Germany, 1945-1990.